The world's largest aircraft successfully loaded in America - HailNewsUp.com provides latest news from India and the world. Straatolunch CEO Jean Floyd said, "How wonderful the first flight was." He said, "Today's flight will carry forward our mission of providing a flexible alternative to ground launch system. The world's largest airline, made by the aerospace company Straitlunch, successfully completed its first test flight on Saturday. According to the news agency Xinhua, Strautolunk said in a statement that the double-decker design and the larger winged aircraft of the American football field, flew 6.58 PM (Pacific Time) from California's Mojave Air and Space Port. Receiving maximum speed of 189 miles (302.4 km) per hour, the plane flew 2.5 hours for the height of 17,000 feet in the Mojave Desert. 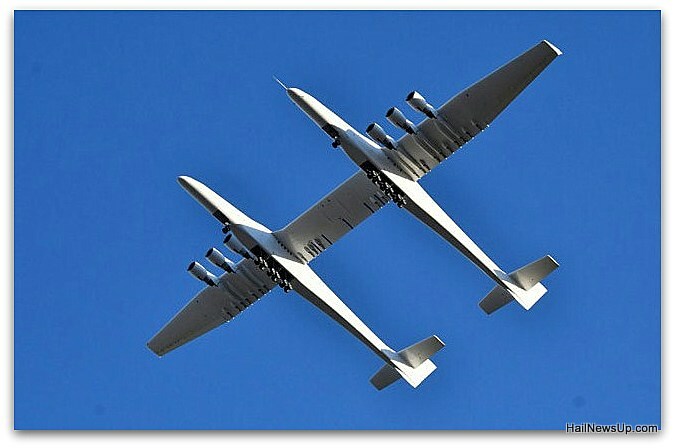 StretLunch was founded in 2011 to develop a large carrier aircraft in the form of Flight Launch Pad for Orbital-Class Rocket by the late co-founder of Paul Allen. According to CNN, the wingspan of the plane is 385 feet and it is 238 feet long, which is a world record. It is the widest of any airplane on Earth and weighs five million pounds. Thomas Jürbchen, Associate Administrator, Department of Science Mission Directorate in NASA tweeted, "Flying this aircraft is a historic milestone for the StraitLunch team! It is connected to the end of the space and beyond. "He said," Wish Paul Allen can see this. "